An innovative lid gripper that fits all lids! Just put it at the top of the jar, turning the crank until you feel that the lid gripper is stuck to the jar. 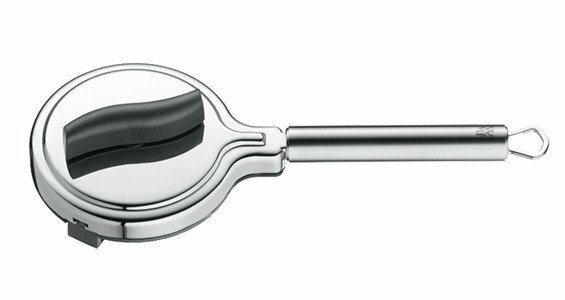 Super WMF twist-off lid gripper ... A real hero in your kitchen! In polished stainless steel with Cromargan ® protection.